Most marine fish, including tuna, belong to a group called acanthomorphs, which experienced an explosion of diversity after an asteroid crash 66 million years ago. Why do our oceans contain such a staggering diversity of fish of so many different sizes, shapes and colors? A UCLA-led team of biologists reports that the answer dates back 66 million years, when a six-mile-wide asteroid crashed to Earth, wiping out the dinosaurs and approximately 75 percent of the world’s animal and plant species. The aftermath of the asteroid crash created an enormous evolutionary void, providing an opportunity for the marine fish that survived it to greatly diversify. “Today’s rich biodiversity among marine fish shows the fingerprints of the mass extinction at the end of the Cretaceous period,” said Michael Alfaro, a professor of ecology and evolutionary biology in the UCLA College and lead author of the study. To analyze those fingerprints, the “evolutionary detectives” employed a new genomics research technique developed by one of the authors. Their work is published in the journal Nature Ecology and Evolution. When they studied the timing of the acanthomorphs’ diversification, Alfaro and his colleagues discovered an intriguing pattern: Although there were many other surviving lineages of acanthomorphs, the six most species-rich groups of acanthomorphs today all showed evidence of substantial evolutionary change and proliferation around the time of the mass extinction. Those six groups have gone on to produce almost all of the marine fish diversity that we see today, Alfaro said. 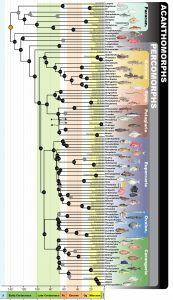 He added that it’s unclear why the other acanthomorph lineages failed to diversify as much after the mass extinction. 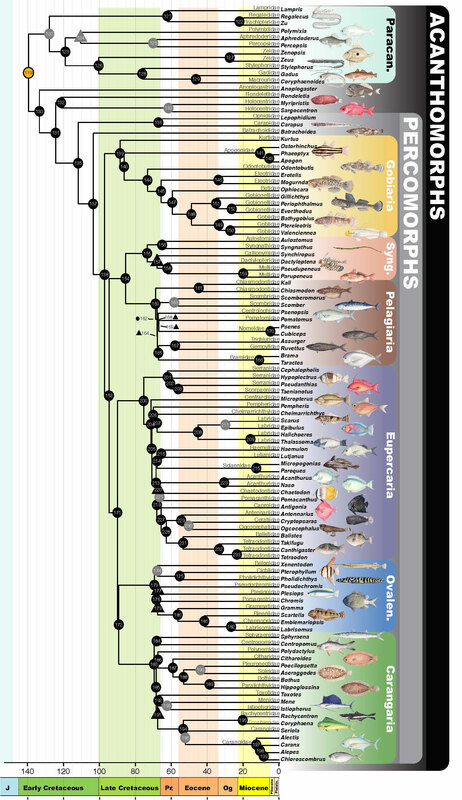 The findings also closely match fossil evidence of acanthomorphs’ evolution, which also shows a sharp rise in their anatomical diversity after the extinction. 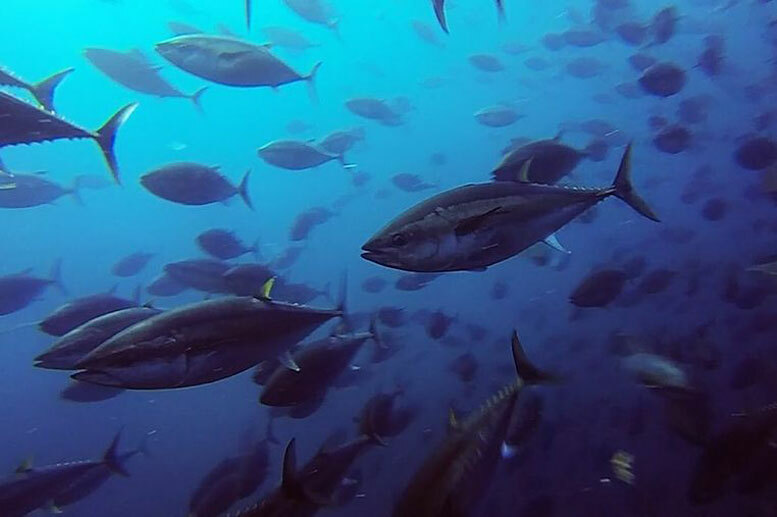 The researchers also extracted DNA from 118 species of marine fish and conducted a computational analysis to determine the relationships among them. Among their findings: It’s not possible to tell which species are genetically related simply by looking at them. Seahorses, for example, look nothing like goatfish, but the two species are evolutionary cousins — a finding that surprised the scientists. “We demonstrate this approach works, and that it sheds new light on evolutionary history for the most species-rich group of marine vertebrates,” Alfaro said. The study’s co-authors, in addition to Faircloth, include David Černý, a UCLA undergraduate; Laurie Sorenson, a former UCLA graduate student; Christine Thacker, a curator at the Los Angeles County Natural History Museum; Matt Friedman, a fish paleontologist at the University of Michigan; and Thomas Near, associate professor of ecology and evolutionary biology at Yale University. Be the first to comment on "Biologists Reveal How Marine Fish Won An Evolutionary Lottery"